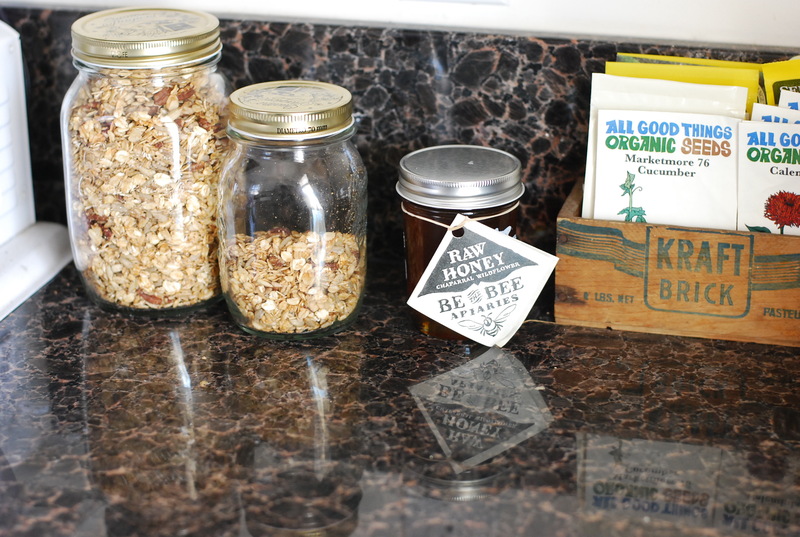 As for MAKING, I finally got around to making a new batch of granola. We’ve been on a toast and peanut butter breakfast binge for a while and I was itching to get back to my yummy yogurt and granola mornings but couldn’t find the time to get it together. Yesterday was that day and now we have plenty of granola for a couple of weeks at least. I’ve also been keeping up with a wabi sabi practice I had read about a few months back. The recommendation was “whenever a pebble or small stone catches your fancy, pick it up and put it in your pocket. 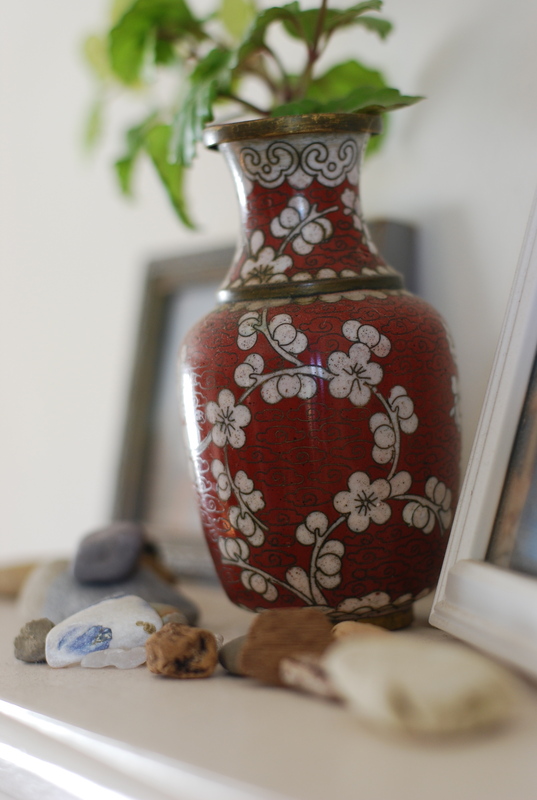 ” The chapter goes on to talk about arranging these natural treasures inside your home, moving them around and arranging them in an aesthetically pleasing way thus cultivating a passion for the little, everyday, seemingly mundane things in life. 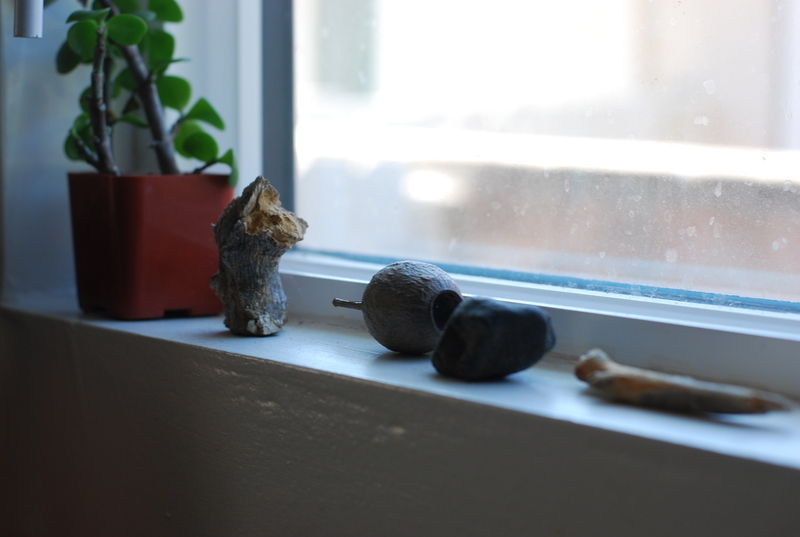 It really makes me feel good to find that perfect rock or piece of wood on my daily walks and give it a new life on my windowsill. I’m finding this practice brings me back to my childhood where everything natural was sacred and interesting and it helps me to truly see the beauty in the everyday. I feel a calm, zen come over me when I roll that special rock around in my hand after finding it, examining it over, feeling the grooves and seeing the patterns. 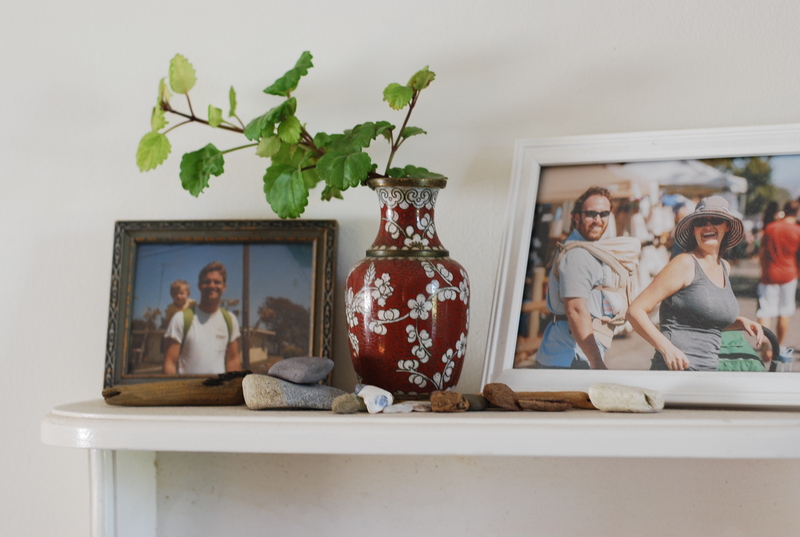 And it’s nice to bring a little bit of nature inside and display it like I would flowers in a vase or a picture of our family. A simple yet meaningful practice to include in our lives. what are you Making and Listening to? Joining Dawn (after a long hiatus) with MAKING+LISTENING! This entry was posted in making, Uncategorized and tagged homemade granola, making+listening, records, wabi sabi collections. Bookmark the permalink. so much about this feels so very good. the records playing, the homemade granola, the special rocks cherished. why thank you! And it certainly does to me too. 🙂 I’m so glad you commented, I am loving your creative space! I love your wabi sabi practice. I never knew it had a name before. I didn’t either until I stumbled upon these Wabi Sabi books at my grandmothers home in Washington and just fell in love with all of its wisdom. Thank you for reading Melanie! As we drove through the Rocky Mts. 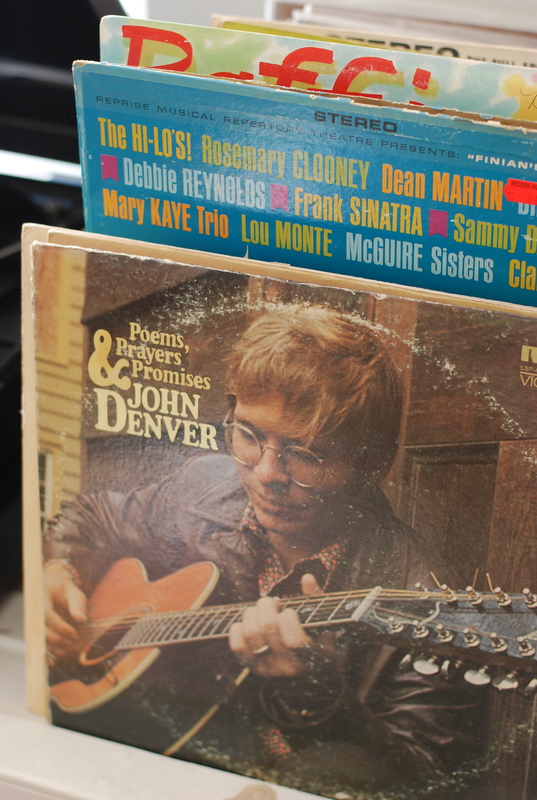 the other day we were talking about John Denver. So good. I love that you guys listen to records. 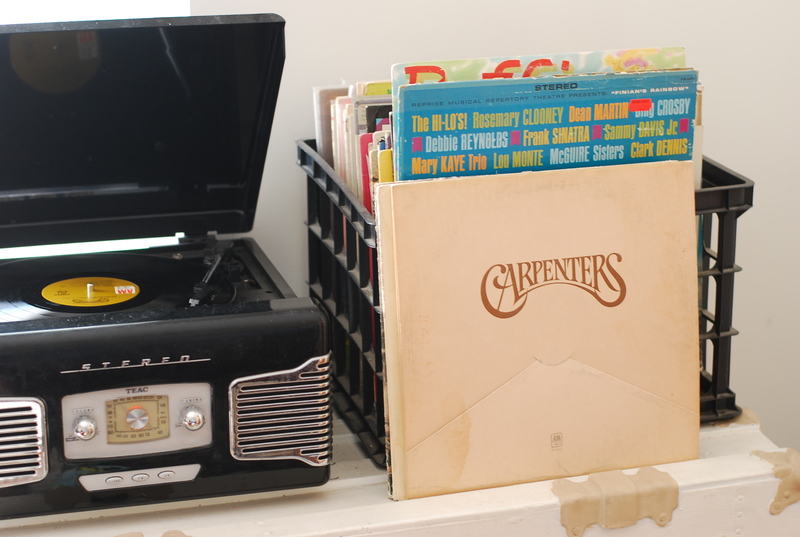 I love my record player as a kid. Thanks for much for joining in this week!